Michael Bay is a guy who makes big and dumb action movies, and a lot of superhero films are big and dumb action movies, but he still hasn’t taken the plunge and embraced modern Hollywood’s love for men wearing capes. Back in 2016, he explained that he hasn’t done a superhero movie because he’s not interested in working in someone else’s world, adding that he’d only make one if he were able to “redo it” in his own way. Now, though, Warner Bros. is hoping it has found a project that’ll get Bay’s attention, and it involves what is easily DC Comics’ most Bay-friendly creation. 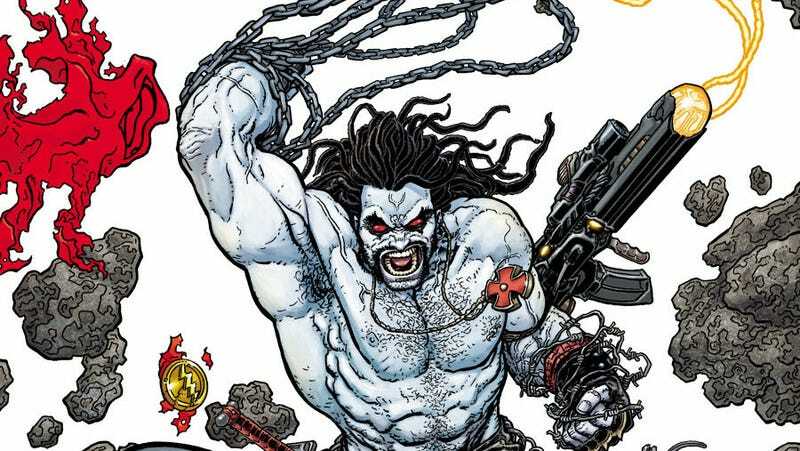 The character is none other than Lobo, the Main Man himself, and The Wrap’s anonymous sources say that DC met with Bay in hopes of convincing him to take over the project. Bay even reportedly gave screenwriter Jason Fuchs some “notes” for a rewrite of the Lobo script that has been in the works since 2016. One issue, other than Bay’s distaste for cape movies, is that the current script would put Lobo at about a $200 million budget. That’s higher than both Bay and Warner Bros. want to go, so The Hollywood Reporter says the rewrite will have to “scale down” the scope of the project. For those who don’t know obscure-ish comic book characters from the ‘80s, Lobo is an alien bounty hunter with huge muscles, a space motorcycle, and a totally bad/rad attitude. He also calls people “bastiches,” has a healing factor like Deadpool, and is sometimes just as touch as Superman. In other words, he’s as big and dumb as the stuff Michael Bay usually makes movies about, so this pairing—even if it is definitely just a rumor at this point—seems perfect. The Main Man meets the Bay man!